The cooling system keeps TN vehicle's engines from overheating while they are driving around Nashville. Its job is to move heat away from the engine. Let's talk about the various components of the system and how they make this happen. The radiator is the part most Nashville drivers associate with the cooling system. Coolant flows through the radiator which has fine cooling fins that draw the heat out of the coolant and dissipate it into the air. To make sure there's enough airflow over the radiator, a fan pulls air over the cooling fins even when the vehicle is idling. The final component the team at Lawson & Son Auto Repair wants to point out is the overflow reservoir. This bottle is designed to hold some of the coolant. It'll have a mark that indicates whether or not you have enough coolant. This is where you should add coolant if you just need to top it off. 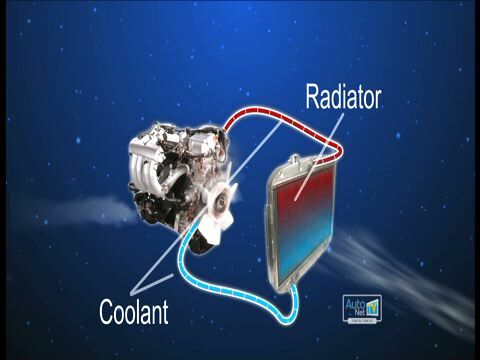 Cooling system failure is the most common mechanical failure in vehicles around Nashville, TN. At Lawson & Son Auto Repair, we can do a periodic inspection of the components for leaks, loose connections and weakening hoses. Your vehicle manufacturer has also specified a cooling system service interval. With a cooling system service at Lawson & Son Auto Repair in Nashville, the old coolant is replaced with correct clean fluid that contains the additives required to prevent corrosion. The additives are depleted over time and you need fresh fluid for adequate protection. Your radiator pressure cap should be replaced at this service as well.